Chinese mobile manufacturer ZTE has pledged to up the Firefox OS ante with the first dual-core handsets to run Mozilla's open source OS, arriving sometime in 2014. 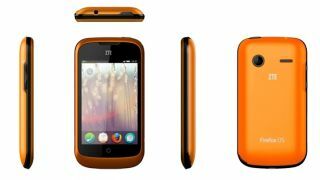 The ZTE Open, the first ever Firefox OS phone which launched in some European and Latin American markets, will be superseded by the faster and more powerful Open C and Open II. ZTE launched the first Firefox OS phone via Telefonica in Spain, which was well-­received and is exceeding expectations in the European and Latin America markets," Mozilla wrote in its CES news release. "In 2014, ZTE will develop a new Firefox OS line to give their users more choice. New Firefox OS phones from ZTE will include higher-­end and dual core options like the Open C and Open II." While the firm didn't offer any indication of when and where the devices would be available, it did announced plans to entice developers to create apps and help optimise the experience for a tablet-friendly Firefox OS. "We are working on a Firefox OS contribution program aimed at accelerating the development of Firefox OS for tablets and the supporting ecosystem," the company wrote. "To do this, we will provide dedicated contributors with access to resources and reference hardware, initially with tablets from Foxconn. We have to make the hardware available before the software is final to make it possible for contributors around the world to help us complete the build of Firefox OS for tablets. We will be working with partners like Foxconn to expand this program for developers soon." Couple all that with the news Panasonic is working with Mozilla to bring the open source software to smart TVs and it appears 2014 may be the year Mozilla picks up the pace in the battle to become the next Android. In depth: Can the Firefox OS really follow Google's open source example and become the new Android?